The Christmas 4 Kids organization has announced the lineup for its 2016 Ryman Auditorium concert, set for Monday, November 21 at 7:00 PM in Nashville. For the second year, legendary southern rock group The Marshall Tucker Band will headline the show with Ray Stevens, Aaron Tippin and Montgomery Gentry also scheduled to perform. Singer/songwriter James Robert Webb will open the show. Country singer Ty Bates is also scheduled to perform. 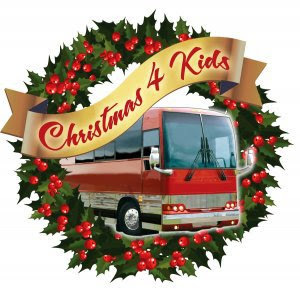 "This year's show at the Ryman is shaping up to be huge," says Christmas 4 Kids President, Linda O'Connell. "Last year, we set a record for money raised for Christmas 4 Kids. With this great lineup, I think we can do it again!" Doug Gray, lead singer of The Marshall Tucker Band adds, "We had so much fun at last year's show at the Ryman. We're grateful that Christmas 4 Kids asked us to come back for a second year. We love being able to help an amazing organization that does so much to bring a memorable Christmas to the children who need it most. See you in November, Nashville!" "I'm so glad to be a part of this great show," notes Stevens. "I'll be debuting a brand new Christmas song at the show and I'm sure it's one the kids will love."